About and Testimonials – Howard Boat Works, Inc.
I’ve been an avid boater since my dad first put me behind the wheel of the family’s classic Chris Craft runabout when I was four years of age. Throughout my lifelong love affair with boating, I’ve owned, operated, and maintained a broad range of boats both power and sail, running the gamut from Hobie Cats to cabin cruisers to offshore high speed performance powerboats. After graduating from the Virginia Military Institute with a degree in Civil Engineering, I began my career as an active duty U.S. Marine Corps helicopter pilot; a career that took me around the country and around the globe. During many tours of duty, including a stint flying the President as a Marine One pilot, I owned and operated a variety of boats in lakes, rivers, and the coastal waters of Hawaii, San Diego, CA, and Norfolk, VA. Before leaving active duty, I enrolled with the Westlawn Institute of Marine Technology’s Yacht Design course, a rigorous program designed to give students the ability to design, from the ground up, sail and power boats up to 100 feet in length. I’m also a USCG licensed Captain (50 ton Master). 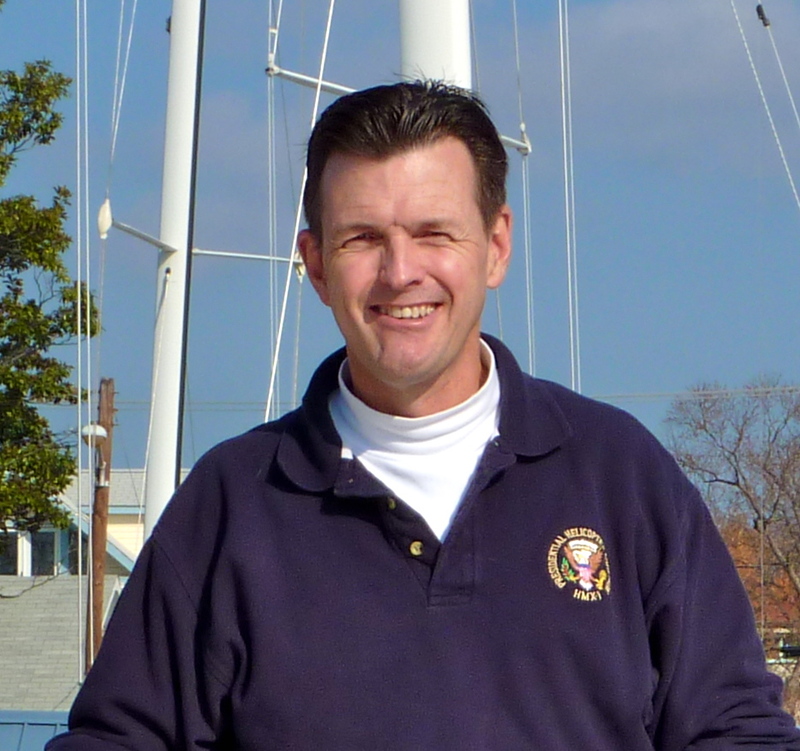 Since leaving active duty, I’ve worked as an aviation consultant in the Washington, D.C. area, and while continuing my Westlawn curriculum, I’ve been using my infectious passion for boating and my comprehensive knowledge of boat design, construction, and operating characteristics to help friends and colleagues find the right boat to suit their lifestyle. I’m very proud and happy in 2009 to have joined the United Yacht Sales team as an exclusively affiliated broker. “I’m a lifelong boater but had never bought a “big” boat. When my wife and I decided it was time to move up, we did a lot of looking and ran into a lot of dead ends, bad leads, and misrepresented boats. Wasted several months and tanks of gas looking at the wrong boats. I reached out to some friends and asked for a recommendation on a buyer’s agent to help with the search. The feedback was unanimous: Call Matt Howard. Done. With a couple of email exchanges and phone calls, we started zeroing in on what we were looking for and a price & geographical range. I’m picky, and based on needs/desires we were doing more of a unicorn hunt than a boat search. Finally found what looked to be “the one” several states away and made a run at her. Matt truly showed the advantage of having an agent on the buyer’s side vs. dealing directly with the seller or their broker. I made a fair but low initial offer and we did some countering back and forth. Matt did all of the heavy lifting behind the scenes. Once we had an accepted offer we instantly locked up the deal by getting it on a contract. This is an often overlooked and misunderstood process. From the buyer’s perspective it gets you first right of refusal on the deal – there are still “outs” based on the survey, sea trial, etc. Once on-contract it was time to clear a weekend and drive 350 miles and actually lay eyes on the boat for the first time. Matt made it a point to meet me in NC to see the boat in-person. I really wanted an impartial second opinion to make sure I wasn’t overlooking anything. Too easy to get new-boat lust and overlook significant shortcomings; a second set of eyes is invaluable at this point in the process. Funny thing, after looking at dozens of boats I was pretty jaded. Stepped on-board “Labrisa” and instantly knew she was the one if the survey went well. Matt added a lot of big boat experience to the initial look, and we spent a lot of time going over systems I was unfamiliar with and talking pros/cons of the boat. He was definitely more concerned with making sure my family got the right boat to fit our needs than just making a sale. I really can’t recommend Matt Howard highly enough. He knows the market, knows boats, and is honest and forthright. As a fellow military officer I truly felt that he had my interests at heart at all times. It’s nice to have someone you trust at your side giving solid advice on a complex process. After this transaction I’m truly sold on the concept of having a buyer’s agent to represent your interests in purchasing a boat. The good ones know the market and are walking the docks every day and know what’s out there and what is or isn’t a good deal. They can facilitate everything from negotiating with the seller to surveys to processing paperwork to closing, and everything in-between. 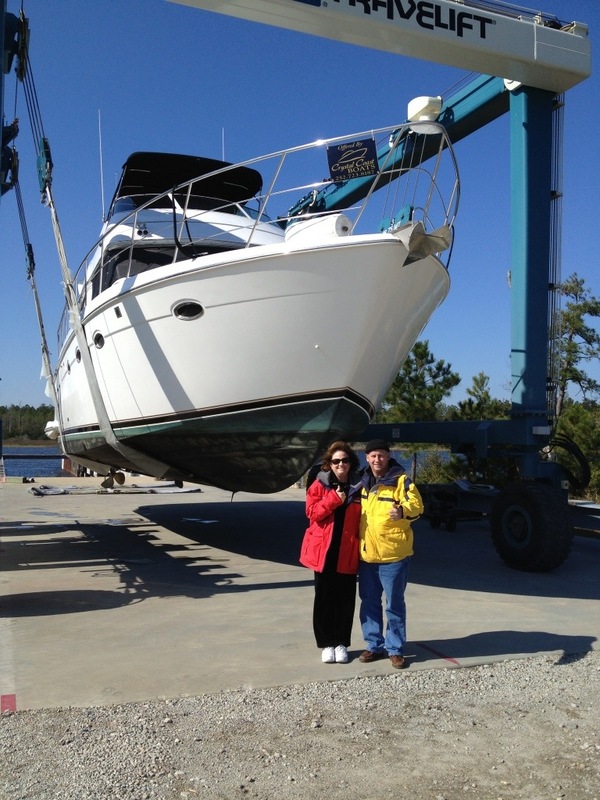 “I want you to know what a great experience we had with Matt Howard in purchasing our new boat. My wife and I are sailboat people making the transition to a motoryacht. Since we do not have a lot of experience with large powerboats, Matt’s expertise in powerboats was of incalculable value in our search and decision on what boat to buy. He also demonstrated a great deal of patients with us as we went through various excursions in our search for the right boat. I cannot count the number, type or size boats we were interested in at one time or another. A lot of indecision and not knowing what we really wanted on our part must have driven Matt a little nuts though he never said or showed any hint of frustration. His ability to remain patient throughout the process and not to push us but provide good guidance in every case was just what you want in a boat broker. His willingness to spend long hours discussing boats and going with us to look at boats without showing any lack of enthusiasm and solid advice made the experience a great one instead of a long burdensome process. My wife Stephanie and I will certainly use Matt and United Yachts in any future boat dealings and I have already recommended Matt to several people who have mentioned to me that they are interested in purchasing a boat. “We would be remiss if we did not send you a note relaying Matt Howard’s superlative performance as our yacht broker over the past 11 months… that spanned the acquisition of our 2005 Sabre 42 Express and the sale of our 2002 Mainship 34 Pilot. Matt always made himself available for discussions on the attributes that would best suit our current boating style – weekend cruising – and our anticipated style as we transition into retirement – more extended cruising. Helping us to down select the potential brands and models based on our intended use, price range, and preferred aesthetics, he also leveraged his superb technical background and historical knowledge to inform and educate us on the pedigree of designs and those aspects of build quality and component selection that extend far beyond “curb appeal”.